The Compass Rose Desk Globe features a beautiful antique brass plated compass rose base and calibrated semi-meridian. Constructed of high-quality paper fiber, the globe ball includes raised relief, hundreds of place names and interesting historic details. Muted map colors and antiqued oceans give it an old world feel. 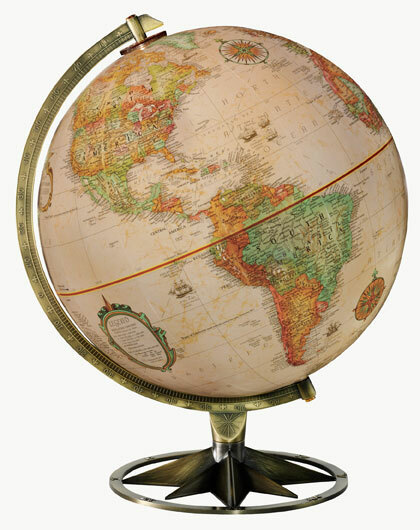 Replogle's Compass Rose Desk Globe is backed by a one-year warranty.